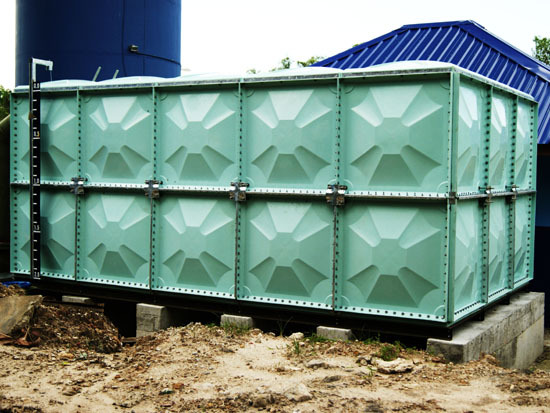 ACEON FRP Panel Tanks represents a new dimension of toxicity free water storage system. 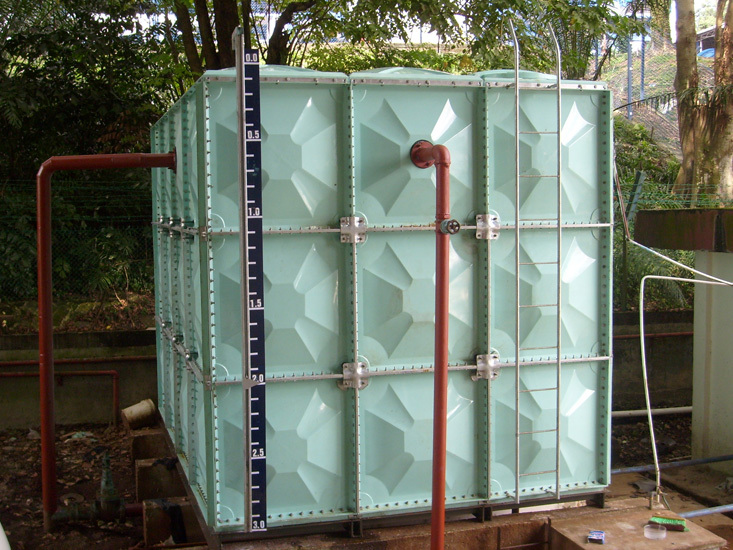 The advance design of the FRP Panel Tanks with the used of top grade materials with strict quality controls and manufactured by highly trained workforce ensured that the products meet the highest quality of standards. 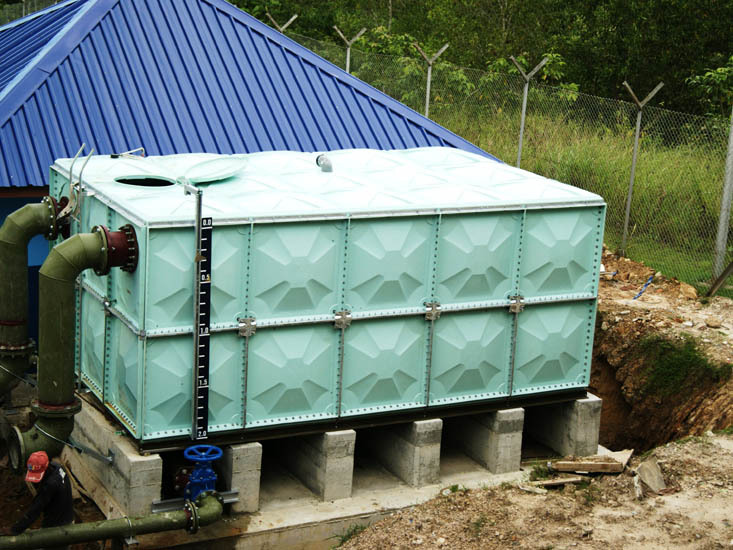 WHY CHOOSE ACEON FRP PANEL TANKS? ACEON FRP Panel Type Water Storage tanks also known as FRP tanks in some parts of the world are manufactured from Vacuum Forming Process using matched mold method. These method will allowed us to use the material which we called "ISOPHATALIC NPG GELCOAT"
The "GELCOAT" is able to protect ACEON FRP Panel against the glass resin interface, ageing, the effect of moisture and temperature induced stress fatigue so that no fibre prominence occurs. The "GELCOAT" is one of the material approved by Lloyd Register for marine fabrication and it is also widely used in the fabrication of sanitary items, leisure boats and craft etc. The Vacuum Forming process with the color which also can allowed ACEON FRP Panel to produce with the color which can attached to the Fibreglass panel surface and fulfill the color of customer requirement. Click thumbnail to view larger photo. WHY ACEON USE 'ISOPHATALIC food grade GELCOAT'? "LIGHT TRANSMISSION". Growth of algae will occur if light is permitted to enter the tank, this will adversely affect water taste, and can lead to disease such as gastroenteritis. "ROUGH INTERNAL SURFACE OF THE TANK". The activities in the internal surface allow bacteria to nest and proliferate. Bacteria protect it self from the effect of Chlorine by creating a bio-film. Chlorinated water also loses its bactericidal properties after a few hours, if not constantly replenished. At one point in time, this bio-film breaks bacteria is killed by the chlorine. The bio-product is presences with the algae and Chlorine, will produce Tri-Halo methane, Studies at John Hopkins and Stanford Universities show that Tri-Halo methane is a potential carcinogenic agent. The 'ISOPHATALIC NPG GELCOAT' can avoid TWO causes mentioned above which the material been tested and approved by Lloyd Register's as an IMPORTANT material for the marine fabrication. Water tank to be installed on a horizontal flat surface beam structure, designed to carry its weight. The Water tank may be supported on a steel footing from a certain size and up, to ensure leveling. If the length of tank is longer than 10M, the ACEON representative may be contacted for special design consideration. Steel framework may be formed from either channel or H-beam, in a suitable steel specification, to ensure that each panel of the base of the tank is supported. Steel section, dimension and sizes depend on the water tank height and surface. For any size and height of tanks, pre-welded steel footing Modules are available upon request and are designed to be loaded in container. At site, those modules will require simple bolting together in order to form the entire steel base frame. 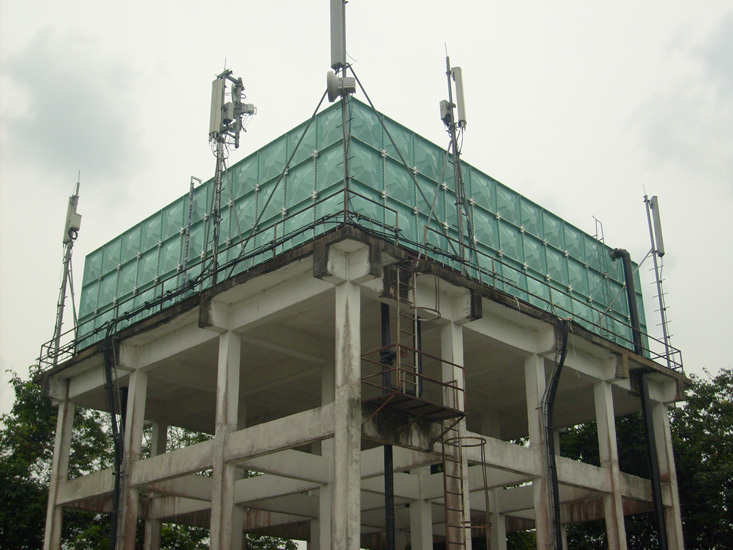 Our ACEON GRP Panel type water tank can easily be installed on a Steel tower which consists of Truss or lattice type construction in a standard module, prewelded and perforated, and designed to be loaded in container. At site, those modules will require simple bolting together, to form the required steel tower. Produced to comply with the requirements of accelerated WEATHERING TEST. Resistance to algae and microbiological growth. No dirt accumulation as no any pinholes detected on the panel surface. 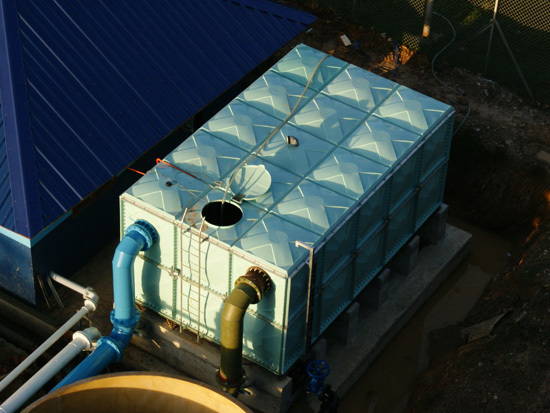 Only approved sealing materials are used to ensure a leakage and maintenance free water tank. Excellent FRP panel strength as glass content is above 40%. No filler (Ca Co3) is mixed. Only "E" type of glass fiber is used. Additional internal and external tank bracing and reinforcement is provided to prevent leaking and bursting especially for tank height at 3 & 4 meter height. ACEON panel tank was designated to take up in excess of 6 times the working safety factors. Warranty product up to 10 years.